The monument commemorates Lieutenant Colonel Hugh Powell Gough Clews, known as "The Major". 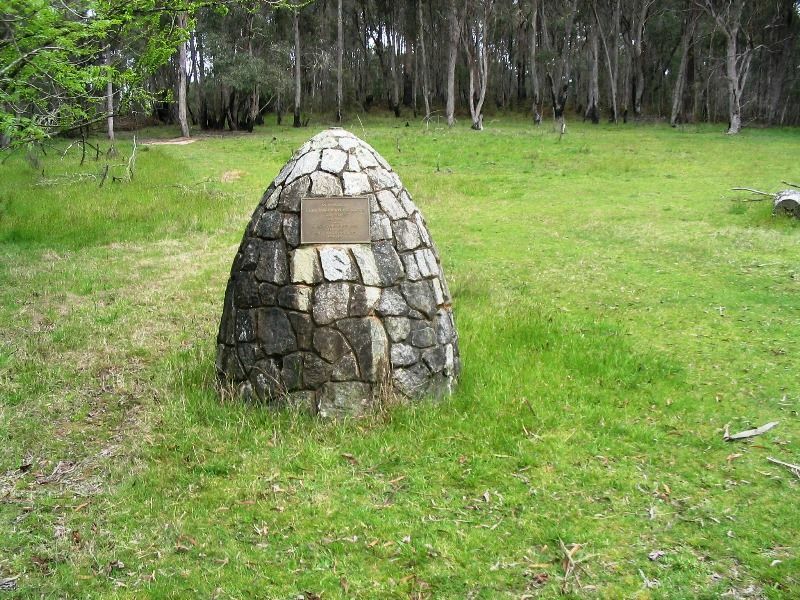 It was erected by the Snowy Mountains Authority in conjunction with the Royal Australian Army Survey Corps and the Survey Corps Association. Clews was commissioned lieutenant and made officer commanding No 3 Survey Section in November 1933. He took command of No.2 Field Survey Company in October 1940 and was promoted to major in November 1940. 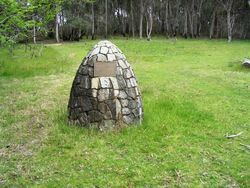 From successive headquarters at Strathfield and Kyogle, and Childers and Ingham in Queensland, he supervised coastal triangulation, geodetic control and topographic mapping. 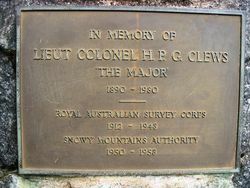 In early 1950 Clews entered into an initial five-year contract as a senior surveyor with the Snowy Mountains Hydro-electric Authority. His reconnaissance surveys, carried out on foot through harsh terrain, preceded the construction of roads and tunnels, and anticipated the work of hydrologists, other surveyors and blasting teams as the vast water-diversion project took shape. `The Major`s` courage and leadership made him a legend among fellow workers, many of whom were European refugees.